I'm fairly new to Ruby and based on recommendations want to try out RubyMine. 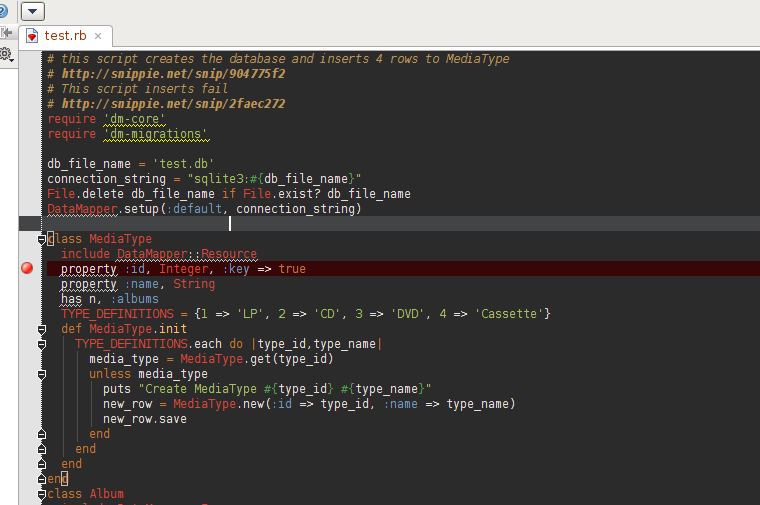 I'm running RubyMine EAP RM-96-1146. 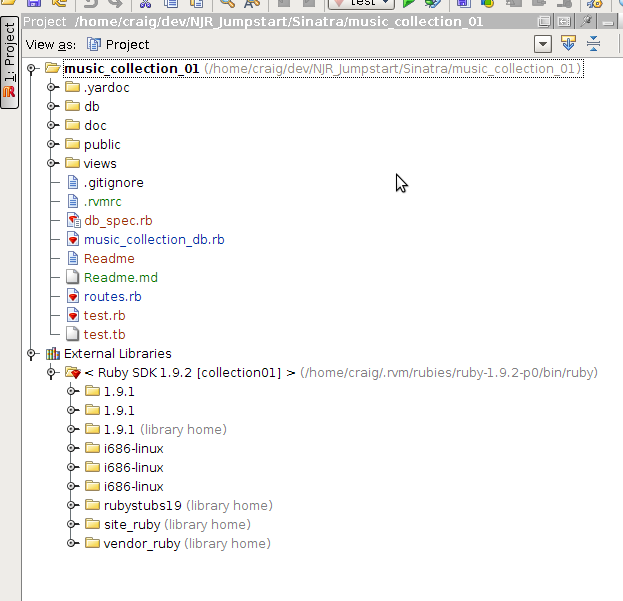 I have a project folder in RubyMine where RubyMine is showing but apparently not using the collection01 gemset. How do I get the gemset to be used? I manually selected all the presented gems and RubyMine adds them to the browser. 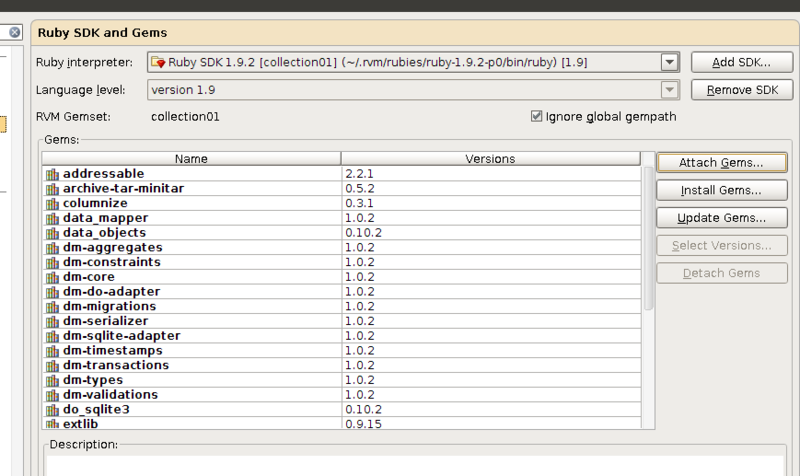 > in RubyMine where RubyMine is showing but apparently not using the collection01 gemset. How do I get the gemset to be used? 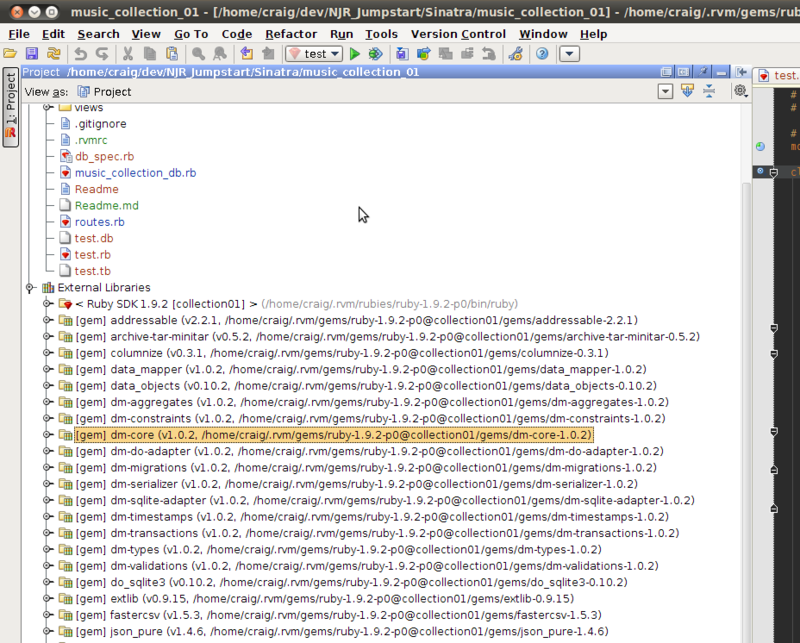 And why do you think that RubyMine doesn't use "collection01" gemset? I switched to ruby-1.8.7-p302 and things are working much better. 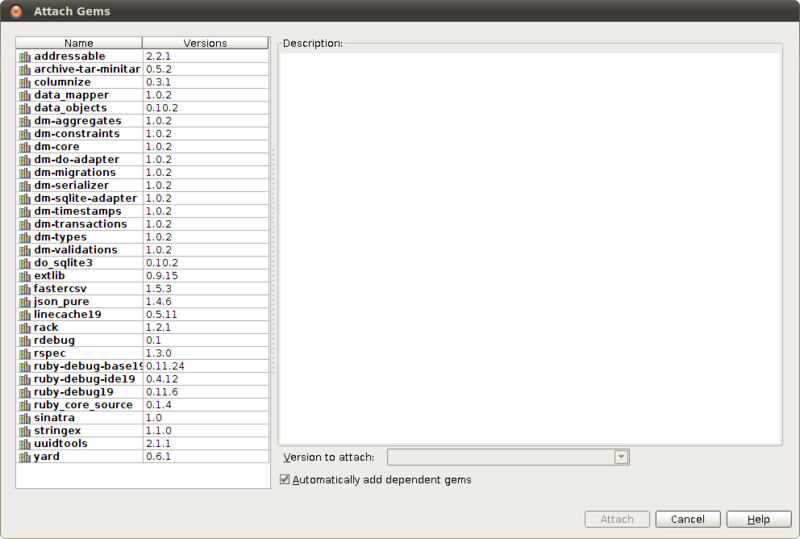 The listbox of the "Attach Gems" window does not indicate the gemset, The detail panel shows the Gem Root, so I can see that the Gem is selected from the gemset location.